There is a lot of buzz lately on employer branding. Here at Red Branch Media, we’ve written about it, a lot. You name it, we’ve written about it: how to create interesting employer branding videos, how to measure the ROI of employer branding, even outplacement and employer branding. Like most things in the business world, we can write about the importance of employer branding until we’re blue in the keyboard; but, at the end of the day, it’s the bottom line that matters. On the other hand, 41 percent of companies have developed an employer brand strategy, so we know it’s important, but how do you measure the effectiveness of your brand once you’ve established it? Read how here. 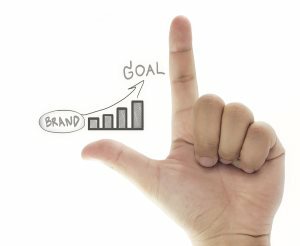 2013 is certainly the Year of the Employer Brand but how do you measure the effectiveness of your employment branding investments? Although you may understand the how and why of employer branding, your leadership team will want to see a plan to measure ROI to talent acquisition before approving budget to find your employment branding investments. Click here to read more. Creating Employer Branding Videos that ROCK! Employer branding is the image of your organization as a great place to work. Companies like Intel, Apple and Adidas have shown us how important branding can truly be, not just for consumers, but for the people who come to work for us. These companies get it, and they embrace employment branding. Check out these examples of how employers can distinguish themselves to attract the best-fit talent whether their employer brand videos are fun, serious, or low-budget. Check some videos out here. On the list of things that matter to burgeoning HR professionals, understanding where the CEO wants to take the organization is right at the top. The starting point to establishing any process or culture is to understand the expectations of the leaders. Knowing what is expected of you sounds common sense, but when those expectations aren’t clear, it can be tough. What can help is being purposeful and knowledgeable in a few macro areas and then building on the micro. Read the full RecruiterBox article here. Employer branding doesn’t happen by accident, a lot of thought and hard work goes into creating a company value proposition and fulfilling that promise throughout the hiring process. There are a number of ways for you to build your employer brand, but today (since we’re the experts in outplacement) we’re focusing on how you can build your employment brand, even while transitioning or sunsetting employees. At the core of every great employer brand is a true respect and admiration for your employees. When you have to transition those workers, offering outplacement services, especially effective services show employees that you care about their future. It’s a tangible way to prove your initial EVP. Finish reading the article here. Showing off your company’s brand in a positive, upbeat way is very important, for employees and consumers alike. Consumers today want to feel they are spending their money with a trustworthy company; employees want to work for a company that aligns with their personal and professional goals. Got a manifesto on employer branding? Think we’re dead wrong? Just want to share a dirty limerick? Share it in the comments. We got spare time.